As important as Steve Moundou-Missi's arm was in the final seconds of the Ivy League playoff game, his head was just as vital. This column is going to get a little vague and philosophical. It will be interesting, maybe even insightful, but not necessarily compelling. So let’s start small, as small as we can get. Let’s start with the flick of the wrist—co-captain Steve Moundou-Missi’s wrist, to be specific. That wrist sent the Harvard men’s basketball team (22-7, 11-3 Ivy League) dancing Saturday when Moundou-Missi hit the game-winning shot with seven seconds left in the Ivy League Playoff game against Yale. As important as the forward’s arm was in that moment, his head was just as vital. Seconds before, Moundou-Missi had missed a potential go-ahead shot from his favorite spot on the floor, along the baseline to the left of the basket. In what Crimson coach Tommy Amaker called a “nailbiter” of a game, Moundou-Missi literally bit his thumb in frustration at the miss. When he released that shot, he thought it was going in. It rimmed out. A long review to determine whom the rebound caromed off of gave Moundou-Missi even more time to think about the ramifications of his miss. To understand what happened next, you have to go back three months to the nadir of Harvard’s season and maybe Moundou-Missi’s career. Remember, the Crimson entered this year ranked in the top-25, with ESPN listing two of its players among the best in the country. 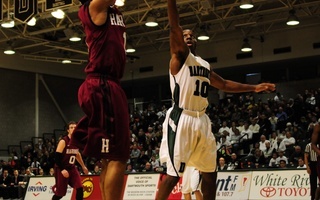 There was talk of at-large bids and Harvard being the best mid-major program in the country. All of that talk was gone by the end of December, as was Moundou-Missi’s jumper, evidently. 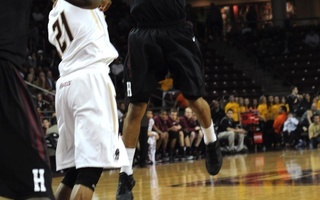 The forward shot just 26 percent during that month, including a stretch when he shot a combined 6-for-34 against Vermont, Boston University, Virginia, and Arizona State. “Obviously the month of December was really tough,” Moundou-Missi said Monday before the team left for Jacksonville, Fla., where it will face North Carolina Thursday in the NCAA Tournament. It was hard for the whole team, which shot 38.2 percent for the month. 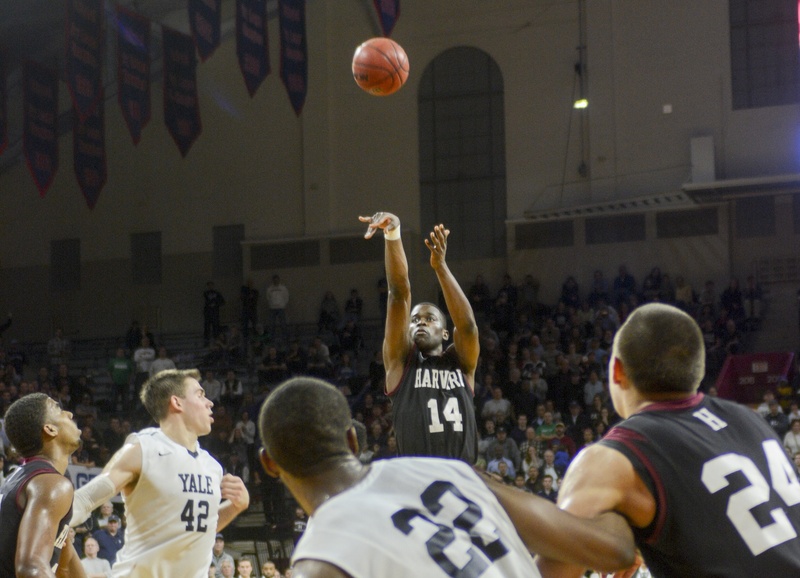 Harvard averaged 15 fewer points than it had in November, when it played easier competition. It lost its fifth game on Jan. 24 after losing five games all of last year. In January, Moundou-Missi took 2.4 fewer shots per game and he went to the free throw line less than half as much as he did in December, signs of a waning confidence. He needed a pep talk and those around him saw it. “The more you take it, the more you make it,” sophomore Corbin Miller told Moundou-Missi in one of those moments. 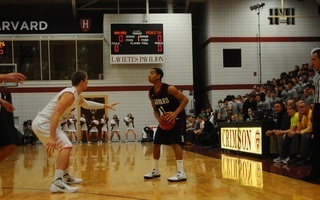 “Shoot the ball when you’re open,” Amaker consistently implored him.